Summer is slowly winding down, but it’s not over yet! 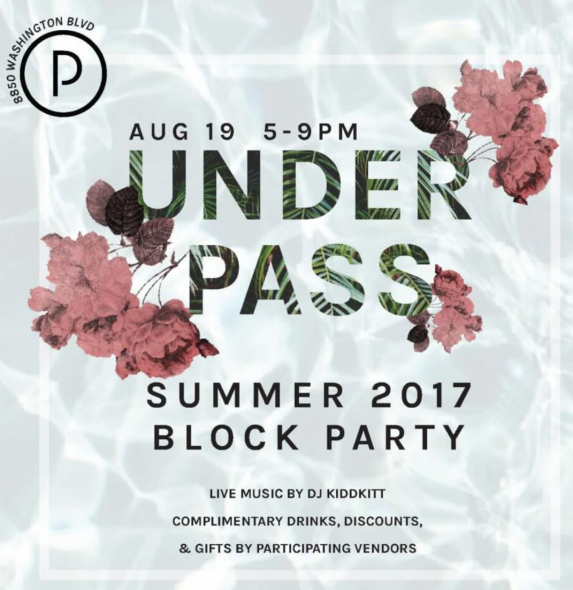 There are still plenty of warm evening events left to enjoy, including the PLATFORM LA‘s annual summer block party on Saturday, Aug. 19. Festivities run from 5 to 9 p.m. and every tenant at PLATFORM will be offering special deals during the party, from complimentary drinks to in-store discounts. While the event is free to attend, you will need to RSVP in advance. To get to PLATFORM, take the Expo Line to Culver City Station. You can also take Culver City Bus Line 1 to Washington/Landmark.